A Sherpa-Mech enjoying a spell of good weather near dusk atop a super prominent peak. This drawing-a-day has taken place over two days. 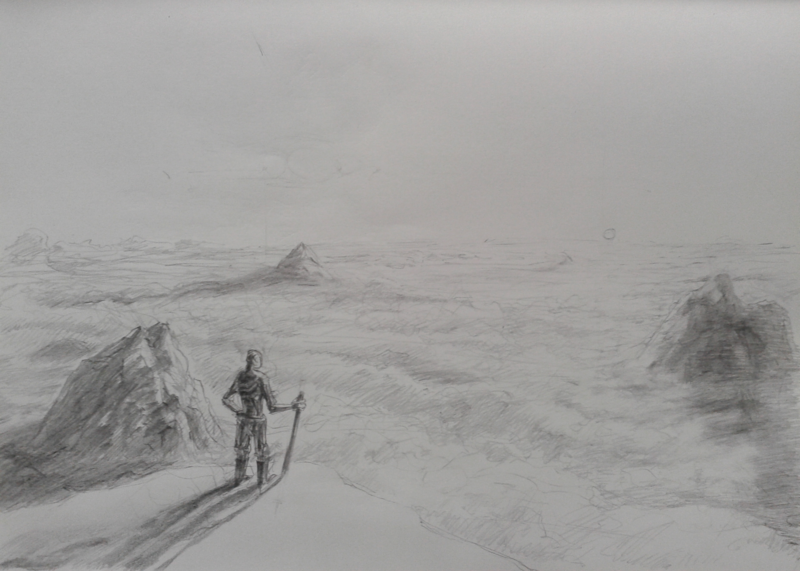 Yesterday I drew up some mocks – also in this post – to figure the composition of the drawing. For this drawing I already had a notion of what I was going for, but next time I will try more drastic variations on the ideas in the mock up stage. 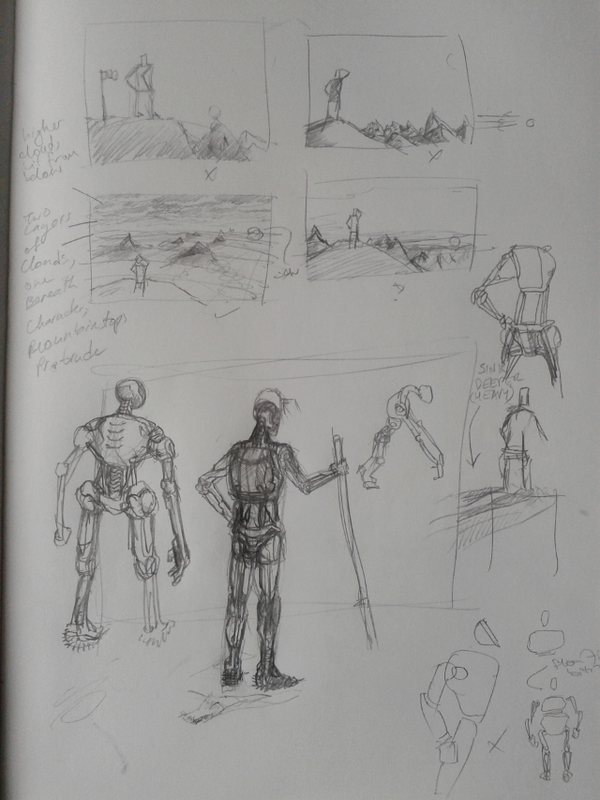 Roughwork, sketching composition and robot bits.